Architectural? Industrial? Asian? 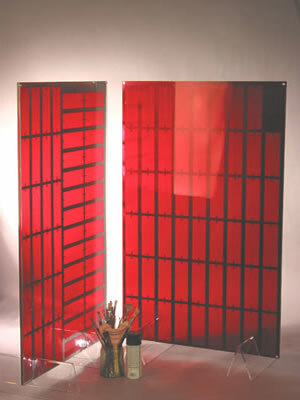 These deep red acrylic dividers have flavor! The generous 30"x48"x1/2" panels are clear on one side revealing the gray steel core. Sold as a pair or separately. Frosting is available for an additional $350 per panel per side.